For those who weren’t following the NCAA games, the University of Kentucky won again, this time beating North Carolina 76-69. Go Cats, they’re headed to the Final Four for the first time since 1998! Back with my family, today my granddaughter had a second party to celebrate her first birthday, because the first one was up in New York with the other grandparents. This time it was at Mill Creek Regional Park in Statesboro, GA. Here Lexi does her thing again, to cheers from all of us. By the way, we got done just in time, because a thunderstorm blew in as we were leaving, and dropped pea-sized hail when we got home. And yesterday evening we had a near miss from some storms cells that were strong enough to contain tornadoes. Meanwhile down in the part of Florida where we used to live, the high temperature was reported at 97 degrees! In all the years I lived down there, I never remembered it getting above 90 in March; summer always started in April. On the other hand, there was a bit of snow in Lexington last night. Funny weather we are having. First of all, how about them Wildcats? Last night’s basketball game against Ohio State was a lot like what we have seen in the tournament already. Again the University of Kentucky barely won (62-60), and the winning basketball was scored 5 seconds before the end. What’s more, the final shot came from Brandon Knight, after he had endured another poor game. This puts UK in the Elite Eight; the next game is against the University of North Carolina, tomorrow at 4:55 PM EDT. Cell phones are one of those inventions that we did not need when they first came out, but now we have trouble imagining life without them. Earlier this week on the radio I heard a fellow call in to a talk show and say that when he lost his cell phone, it took three months to restore his life because he didn’t have copies of the phone numbers saved in the device. I for one try to keep a phone list somewhere besides in my cell phone, including several committed to memory, but apparently a lot of folks aren’t that careful. I am talking about cell phones because both Leive and I are upgrading ours this weekend. Leive got a free smart phone from T Mobile last month, for being their customer for nearly five years. As for me, the phone I’m upgrading to is just a little fancier than the no-frills model I had previously, but it’s a calling plan I can afford that will give me more minutes, and I can keep my old number. Well, we called to activate Leive’s new phone yesterday, and I went online to activate mine today. Preliminary test calls show that my activation went without a hitch, but the place we’re in right now is a dead zone for T Mobile phones, so we don’t know yet how well Leive’s phone will work. On top of all that we’re having a delightful time with our granddaughter. As noted previously, Lexi’s first birthday was last Wednesday. She already had a birthday party with the other grandparents; now it’s our turn, so we’ll be having it tomorrow. 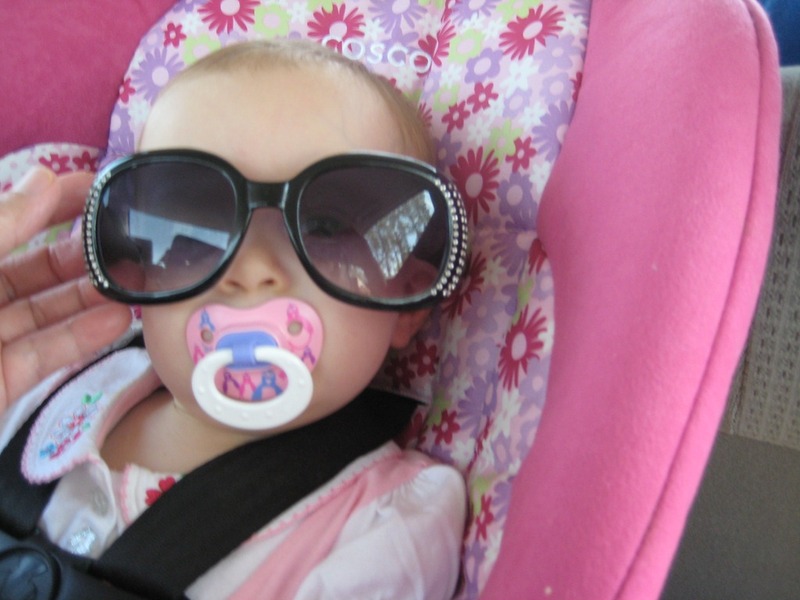 Here is Lexi trying on Leive’s sunglasses. And this was the biggest surprise we got today. Before we left Kentucky, Leive cooked hot chicken wings, one of her more popular recipes, so we wouldn’t have to eat in any restaurants on the way down. 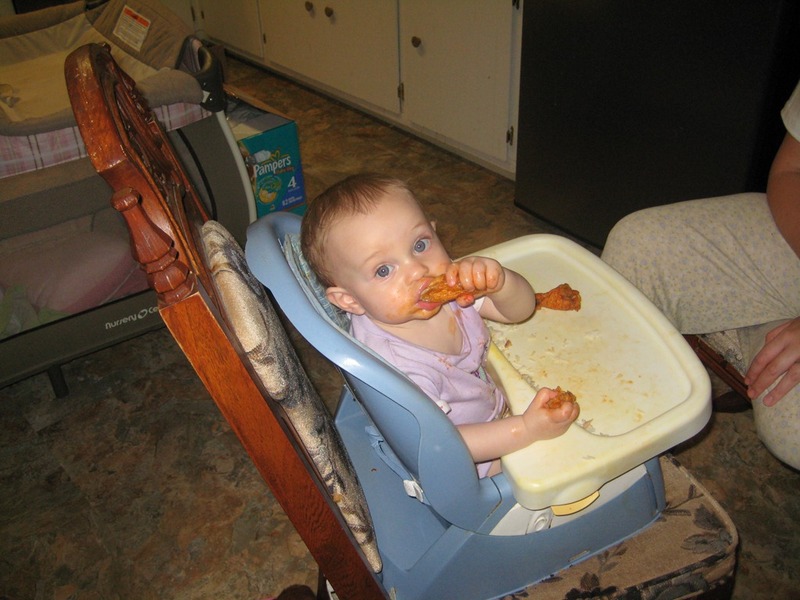 Today Leive and Lindy gave some of the wings to Lexi, and she loved them! That orange stain on her mouth is Louisiana hot sauce. She didn’t get that taste from her parents, nor did it come from her other grandparents (Yankees aren’t fond of hot & spicy food, after all). It only could have come from Leive & I. Leive sees it as a sign that she’ll be a tough girl when she grows older. I’m guessing the same, after seeing her grow red hair and hearing that she’s not afraid of anybody. See you after the party! For those readers living outside of Kentucky and Ohio, tomorrow is the day of the NCAA “Sweet Sixteen” game between the University of Kentucky and Ohio State. Judging from what I’m hearing, this is the biggest UK game since I moved to Kentucky almost five years ago. Not only is this the first time in a long while that UK made it to the fourth round of the tournament, but currently they are rated #4 among all college basketball teams, while Ohio State is rated #1. Accordingly, this morning Lexington Mayor Jim Gray made a special announcement. Friday will be Blue and White Day, and all Wildcats fans, wherever they are, should wear the team colors to show their support. 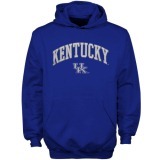 Therefore I plan to wear both my UK T-shirt and my hoodie. I’ll tell you afterwards how everything worked out. That was a headline this week on The People’s Cube, my favorite political humor site. Meanwhile, Vice President Biden says that US troops in Libya could help save or create thousands of civilian lives (LOL). When I first heard we were shooting missiles at Libya last weekend, I figured that liberals would support President Obama’s war effort. After all, they may have been against Bush’s war in Iraq, and only briefly supported the war in Afghanistan, but many of them were veritable bloodhawks when Bill Clinton bombed Serbia in the 1990s. Okay, I was wrong; the leftists are acting more consistent than I expected. Still, I must admit I had fun watching them have a spazz when they responded. Michael “Harkonnen” Moore sent out a string of messages on Twitter blasting Obama’s action, Dennis Kucinich asked if bombing a country is an impeachable offense, while those other folks in Congress with room-temperature IQs, like Sheila Jackson Lee, responded likewise. A few on the right opposed the missile strikes, too; did you ever expect to see Kucinich and Ron Paul agree on anything? I’m glad we are doing something about Muammar el-Gaddafi (he has been an S.O.B. for most of my life). And it must have been a tough decision for Obama to make, inasmuch as Gaddafi is a Marxist and a Moslem, and a friend of Obama’s former pastor, Rev. Jeremiah Wright. Even so, I’m starting to have misgivings on the US approach. First of all, I’m hearing rumors that Al Qaeda might be on the side of the anti-Gaddafi rebels. If we defeat the known devil that is Gaddafi, are we paving the way for an unknown devil to take his place? Second, Obama needs to declare what we are fighting for. Is toppling Gaddafi our goal? Is it teaching him a lesson? Is it building a democracy in Libya? Or is it all of the above? He also doesn’t seem to be taking it too seriously; note that the attack started while he was on his way to Brazil, as if the trip was more important than his job as commander in chief. And now the cruise missile strikes have stopped, and the president has already announced that ground troops won’t be committed. Is it ever a good idea to let the enemy know that you aren’t fully committed to win? Finally, I don’t like the idea of somebody else leading the war effort, besides the United States. We saw Obama wait until the UN, NATO, and the Arab League were pleading for him to intervene, so that by the time he acted, Gaddafi was on the verge of crushing the rebellion. 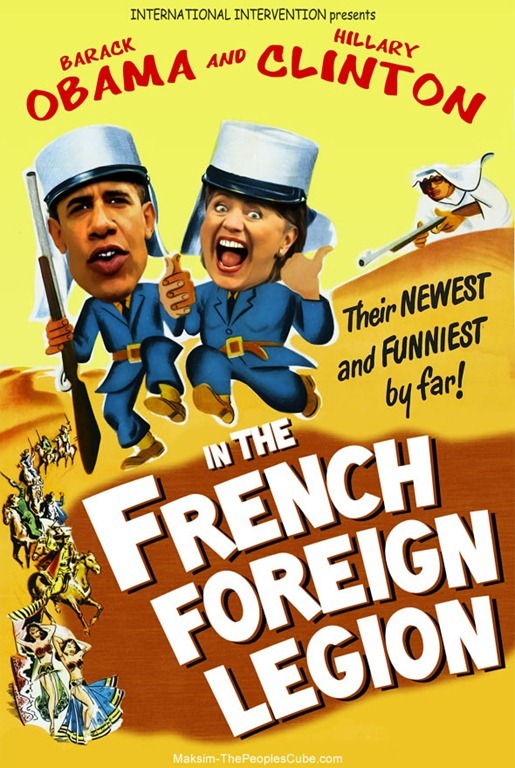 Then today I heard that Obama is turning over management of the war to a “political steering committee,” led by France. 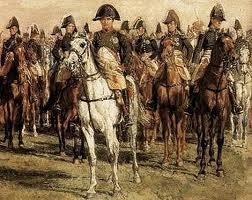 Hmmm, the last time France was considered the world’s most important nation, it was led by a fellow named Bonaparte. Last March 18, I wrote that it looked like the flowering season here in Kentucky would not begin any earlier than usual. Now I take that back, sort of. The bulbs may have come out right on schedule, but today I saw white and pink flower buds opening up on trees all over the neighborhood. Correct me if I am wrong, but in years past, didn’t they wait until the last week of March? I told you all previously about the flat tire I got at the end of December. With that car, the problems didn’t end when I got the flat fixed. When I took it in for an oil change the mechanics refused to do it because the front was too low. Moreover, it was bouncing like crazy. Do you remember Hoppity Hop and Hoppity Horse, those big inflated balls with a handle that kids bounce around on? Honestly, while driving I felt like I was riding one of those toys! Anyway, I found out the problem was the forward struts, but couldn’t afford to get everything fixed until this month, so for January and February, I drove the other car exclusively. Last week, I had the struts replaced, and today I had the alignment done, replaced the other front tire, and got an oil change. Now the next time Leive & I go out of town, we’ll have a choice regarding which car to take. Another day with a lot to cheer about here. The first day of spring is officially here, following a spectacular full moon last night; I hope you saw it. According to Bing.com, if the Vernal Equinox had an official song, it would be this one: “First Days of Spring,” from Noah and the Whale. Unfortunately I can’t embed the video on this blog, because it’s not on YouTube, so click on the link below to hear it. Today is Purim, the Jewish holiday that commemorates the defeat of an Iranian anti-Semite. No, I’m not talking about a certain nut job alive today; I’m talking about Haman (read the Old Testament Book of Esther if you’re not familiar with the story). It’s the happiest day of the year for Jews, and you’ll see kids dress up in cheerful costumes to celebrate; in that sense you can call it the Biblical alternative to Halloween. Here in this house, we finally got some hamentaschen! 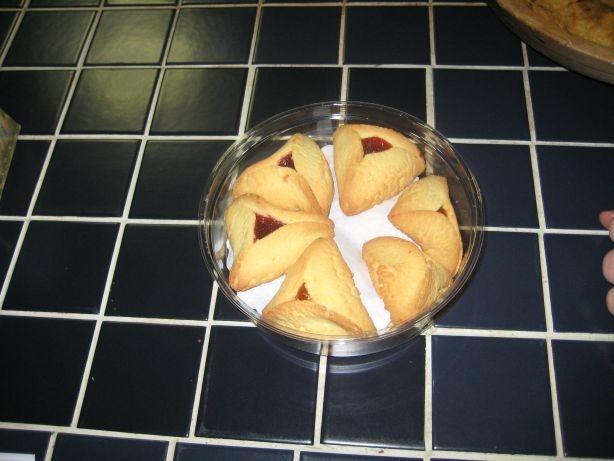 These are the cookies baked for Purim, folded into a triangle with apricot, raspberry or poppy-seed filling. I complained in years past how hard it is to find hamentaschen in Kentucky, because there isn’t much of a Jewish community here. By contrast, in Florida I could usually find them at Costco. Even the local Meijer store didn’t stock them, though they stocked plenty of goodies for Hanukkah and Passover. Once (I think it was 2009), I ended up taking some apple strudel to the men’s group at my church, because it was the closest thing I could find, and told them to pretend it was hamentaschen. 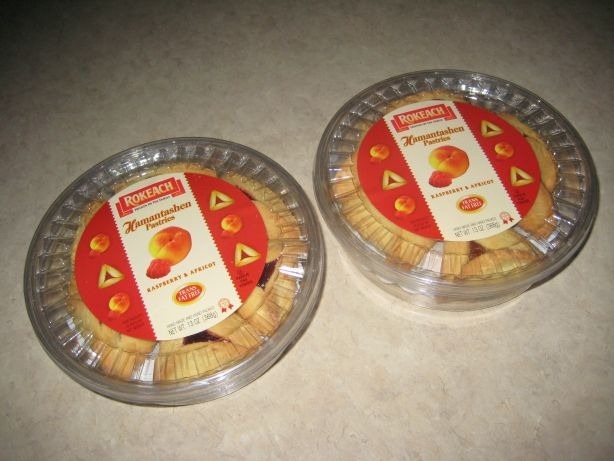 Well, this year Meijer came through and supplied the hamentaschen, in the aisle where they have the other kosher foods. I bought two containers a week ago; here is how the cookies looked, both in and out of the box. In other news, the next two generations of the family, Adam, Lindy and Lexi, have been in upstate New York for the past few days. Lexi’s first birthday is next Wednesday, so they celebrated it with the other grandparents. Here is a video showing what Lexi did with her birthday cake. If I remember correctly, we didn’t let Lindy do anything with a cake that early, except look at it (LOL). Finally, because Libya is in the news again, my brother shared this song that appeared on the Doctor Demento Show in the 1980s, “How Do You Spell Gadhafi?” Aside from the reference to Ayatollah Khomeini, the song is still up to date. Would you believe that a few years ago, Wikipedia listed 115 ways to spell the Libyan dictator’s name? But personally, if I was looking for a parody song about Gadhafi, my first choice would be the one composed the first time we bombed Libya, in 1986. Here it is, with some footage of our fighters: the Muammar Mash! If you’re a pacifist, you probably feel that all battles and wars are stupid, but you have to admit that some are more idiotic than others. I felt that way about the Iran-Iraq War during the 1980s; more than a million men were killed during an eight-year period, over the issue of whether the Iran-Iraq border ran in the middle of the Shatt al-Arab, or on that river’s eastern shore (a difference of a hundred yards). Other absurd conflicts include the War of Jenkins’ Ear, started when Spain captured a British ship, cut off the captain’s ear, and threatened to do the same to King George; the Pemmican War, in which two fur trading companies in Canada fought over the Native American equivalent of beef jerky; and the Pig War, an incident where an American farmer shot a pig belonging to a British farmer, and the US and UK almost went to war over the issue. Well, on Thursday I read about a battle that must top the rest. It happened during the second war between Russia and the Ottoman Empire (1787-92), during which some Austrian soldiers got drunk and massacred each other, making everything a lot easier for their opponents (the Turks). If there was anything in the war that the Turks could be happy about, it was Austria’s performance. Especially with the battle of Karánsebes, the worst “friendly fire” incident of all time. Romania was the only place where both the Russians and Austrians could engage the Turks, and in September 1788 the Austrian army set up camp around the Romanian town of Karánsebes. Some scouts rode ahead on horseback to see if there were Turks in the neighborhood; they didn’t find any, but they found some Gypsies with a load of schnapps, bought the schnapps from them, and eagerly started drinking it. Soon after that, some infantrymen marched to the same spot. When they saw the scouts having a good old drinking party, they demanded some of the booze. The drunken scouts refused, and then they set up makeshift fortifications around the schnapps barrels, as if this was a silly wargame. The scouts and infantry started arguing, until one soldier fired a shot, starting a battle between the two units. If you thought that was stupid, it gets worse. Some of the infantry began shouting “Turks! Turks!”, as if the Turks, and not the scouts, were shooting at them. Thinking the Turks were behind them, the scouts broke and ran, and so did the infantry, seeing the fleeing scouts as proof that the Turks were really approaching. Some Austrian officers among the infantry tried to restore order by shouting “Halt! Halt!” However, the Austrian army was made up not only of German-speaking Austrians but also Hungarians, Italians, and an assortment of Slavs. Those soldiers who did not speak German thought the officers were shouting “Allah! Allah!”, which only made them run harder. When the first scouts reached the main camp, a corps commander got the idea that the men coming at him must be part of a Turkish cavalry charge, and ordered artillery fire on them. Now the rest of the army woke up, and when they saw they were in the middle of a battle, they fled in every direction. The troops fired at anything they thought might be the Turks; usually it was other Austrian soldiers. Soon the whole army was retreating from an army that wasn’t there; probably the funniest incident was when the Austrian leader, Holy Roman Emperor Joseph II, got pushed off his horse into a stream. Two days later the real Ottoman army arrived at Karánsebes, and it found 10,000 dead and wounded Austrian soldiers. The Turks probably thought it was great that they didn’t have to kill anybody–the Austrians had done it for them!–and then they seized the town. And that wasn’t all; in 1789 the Austrians stopped a Turkish advance in Serbia and captured Belgrade, only to give Belgrade back when the war ended two years later.